The United States is home to some of the most severe weather in the world, whether it’s snowstorms, hurricanes, tornadoes, or droughts. Planning for times of severe weather is necessary. You probably already keep your flashlights in working order, maintain a store of fresh water, and have a stocked first aid kit handy. 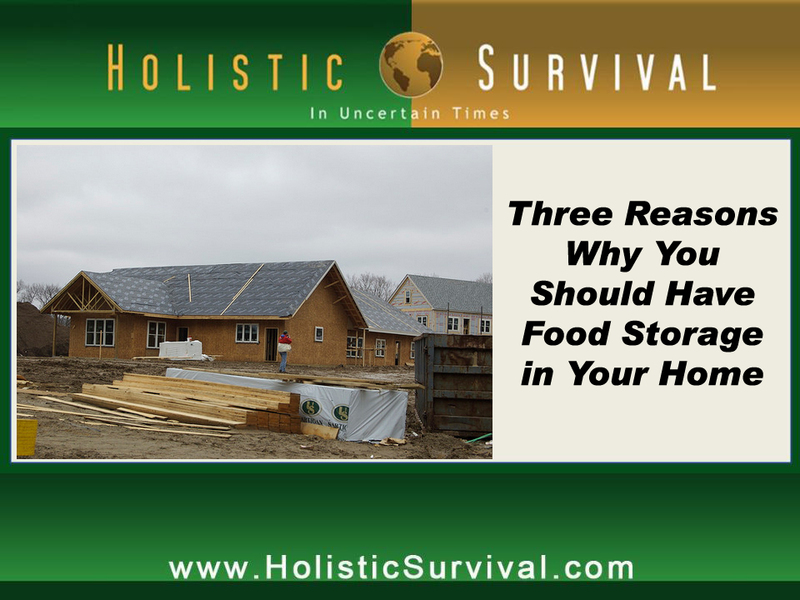 Even if you aren’t directly impacted by a natural disaster, you may be forced to live off whatever food you have on hand. If you are snowed in or if the electricity goes out in a violent storm, you could be stuck for days without access from outside help. 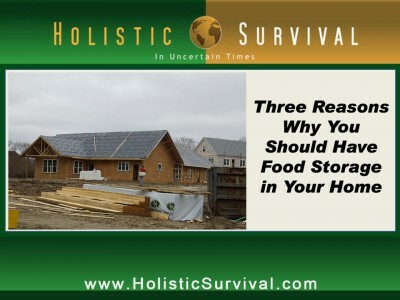 A storage of food supplies could be the difference between life and death. Or at least a good meal and frostbitten Pizza Pockets®. After the horrific bombings at the 2013 Boston Marathon, the town of Watertown was put in lock-down as the police hunted for the bombers. Residents were not allowed to leave their homes for a full day. Suppose something like this happens in your town? Suppose something happens that requires an even longer lock-down? Are you prepared? Many people have felt the hardship of sudden financial trouble with the loss of a job or a spouse’s job. To move from a two income household to a single paycheck, or worse, to lose a family’s only source of income, can truly be devastating. The recession has affected many people, so you may not have anyone to rely on for assistance. How will you feed your family? Having a back-up of food, including dried goods and canned foods, ensures that your family will not starve; however, if you lose your job, that may not be enough.